Twenty years ago, long before Sat nav had been introduced to the general public, a bald man in a Merrill Lynch baseball cap and his fourteen year old son were driving aimlessly around the town in a shiny new convertible Mercedes, trying to find the venue for the U14 Suffolk cricket trials. Whilst the son was slouched almost horizontally in the passenger seat through sheer embarrassment of this man - who was evidently in the throes of a mid-life crisis - the Dad asked every passer-by where the cricket ground might be. In the end though, they never found the ground and returned home in terse silence. And that is how I never ended up making the England cricket squad alongside Freddie Flintoff and co. Thanks Dad! Fortunately, these days, we do have Sat nav, which made for a rather relaxing journey up the A14 to Mildenhall; myself riding shotgun to Gary ‘The Alpaca’, Strattz and Aspinall in the back. (By the way, Strattz gives a great shoulder massage; so good I may pay for a half-hour session in the future). The tunes were cranked up and we fervently sung along to such classics as John Denver’s ‘Country Road’, Sinead O’Connor’s ‘Nothing Compares 2 U’, Chris De Burgh’s ‘Lady in Red’, before finally serenading our tactics coach, Dai ‘Two hands’ Kenyon, with Andrea Boccelli’s ‘Time To Say Goodbye’ in the car park of Mildenhall rugby club. This is where the good times ended, though. 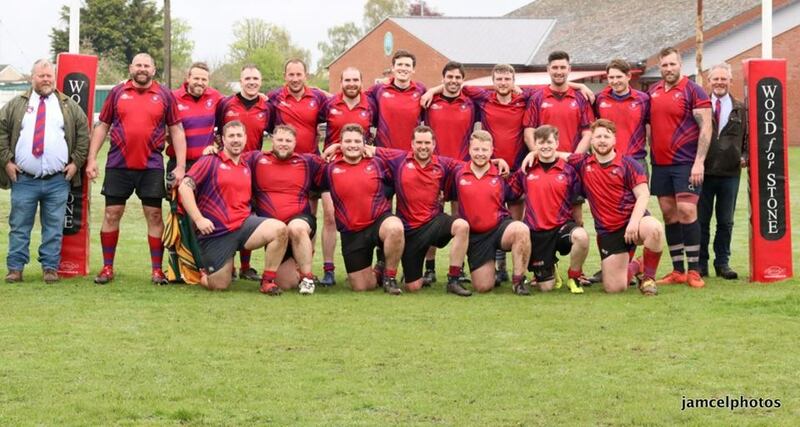 For the second week in a row Mistley succumbed to defeat, this time in the semi-final of the Suffolk Plate. A lacklustre warm up and subdued mood within the squad did not bode well for the match. Mildenhall quickly proved they were a well drilled, physical side who would cause us problems in both the set-piece and defence, whilst also being hard to break down in attack. Too often, our defence was sucked in at the breakdown, which allowed them to get the ball out to the backs, who quickly put the ball through the hands with crisp passing to attack down the wide channels. Within ten minutes of the start Mildenhall had scored, their inside centre torching the scrambling Mistley defence to touch down ten metres in from the left touch-line. Soon afterwards, Mildenhall scored a carbon copy of the first try; only this time in the right hand corner. The touch-line conversion was brilliantly converted into the wind by their lock. The score-line could have been even higher had their left wing not been blinded by ‘white line fever’. Fielding a sliced cross-field clearance kick on the 22, he jinxed inside the defence and had he then passed outside to their looping full-back, they would have scored. Instead he decided to take it on himself and was felled by a brilliant last ditch tackle from Will Wine, who along with fellow flanker, Freddie Barrett, worked tirelessly throughout the game. A penalty on the stroke of half-time saw Mildenhall take a 15-0 lead into the break. Mistley started the second half with more impetus, sub Moby ‘Fun Times’ Turner crashing over off the back of a five metre scrum. Into a strong prevailing wind, Jack Tompkins dissected the posts with an excellent conversion from out wide. However, our rare attacking forages into Mildenhall’s half were all too often to no avail; the ‘smash ball’ tactics employed being effectively patrolled by the opposition. Where we did look dangerous, though, was when Kams - our Fijian full-back - used his pace, sleight of foot and slick off-loading to almost breach the Mildenhall ‘wall of defence’. Alas, after some good momentum from Mistley, it was Mildenhall who rammed home their advantage towards the end of the match; literally in the case of their powerhouse No. 8, who crashed through several tackles to score near the posts. His post-try screaming of “Where were you big boy, where were you?” in the face of ‘Alpaca’ earned us a penalty restart, which was something I’ve never before encountered. Thereafter, after a series of bludgeoning attacks, Mildenhall scored again, and with tempers flaring (resulting in a yellow card for one of Mistley’s players), it wasn’t long until the whistle blew for full-time, finally putting us out of our misery. Mildenhall praised us for giving them their most physical game of the season thus far. However, although this was true, the reality was that we came up against superior opposition whilst not playing to our full potential. After the euphoria of our winning start to the season, Mistley have most definitely plateaued. It is imperative that we get good numbers to training and turn up to future games with more energy and focus, as this is what has seen us regress as of late. On a lighter note, Strattz won D#*k of the Day for being rocket-launched into space by their no. 8. It was quite a sight to behold! We wish Mildenhall well for the final; on Saturday’s performance they should emerge victorious. On the drive home, we were mesmerised by Angus Bissett’s terrifying driving skills - Strattz commented he drives like he plays rugby ie. lots of doing and very little thinking - until we lost him somewhere around Stowmarket. Stowmarket is where the 1st XV play their 2nd XV next week. This will undoubtedly be a tough encounter, for Stowmarket are always a strong outfit at home. Hopefully, the return of the mercurial Ali B Taylor - our try-scoring talisman - will lead us to an improved performance, and possibly victory. The Marauders take on Bury St. Edmunds 4th XV at home. The last time I played this team, I broke my middle ‘swearing’ finger and spent the next five days asking family, friends and strangers alike whether they thought I had broken my finger. After being told many times to get it X-rayed, I finally walked into the hospital in Aberystwyth - where I was studying at uni - at midnight on a Wednesday to be told I had, indeed, broken it. I’m hoping to avoid injury this time; however, my injury track record as of late leaves me a little concerned.